Have the workout blues? Try this mixed martial arts class that combines taekwondo, muay thai kickboxing, submission grappling techniques and jiu-jitsu for a mind-blowing and body-sculpting experience! 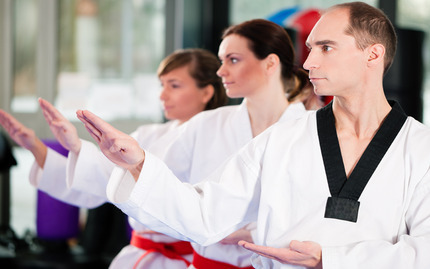 Mixed martial arts training challenges you physically and mentally while also offering practical self-defense techniques. You will be taught all of the basic techniques of strikes, takedowns, submissions, and positioning in order to defend yourself in any situation. Emphasis is placed on muscular development, flexibility and cardiovascular conditioning for a total mind and body workout. You'll have more energy, feel younger and improve your overall heart strength in just one workout!